A new sole and an improved last give this popular, updated Muck shoe more stability on wet surfaces along with an even greater level of comfort and fit. 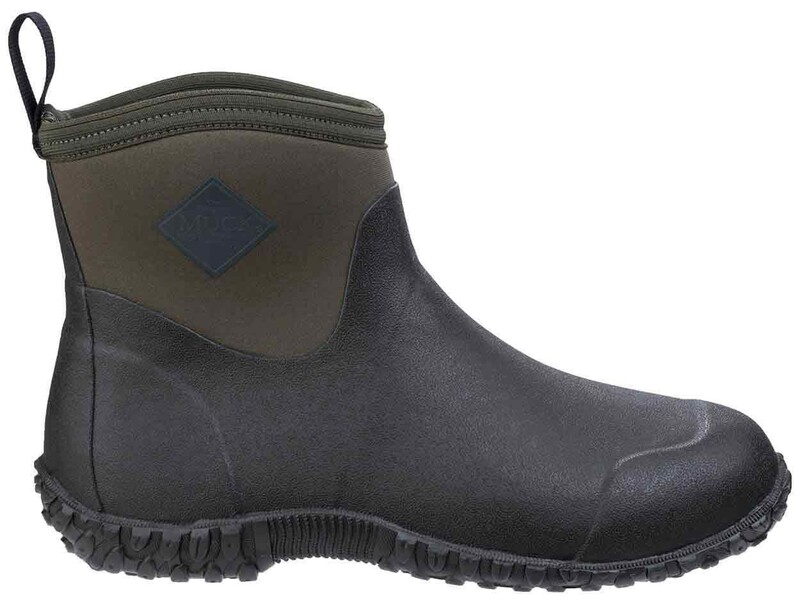 The Muckster II Low is the perfect shoe when its wet and muddy. 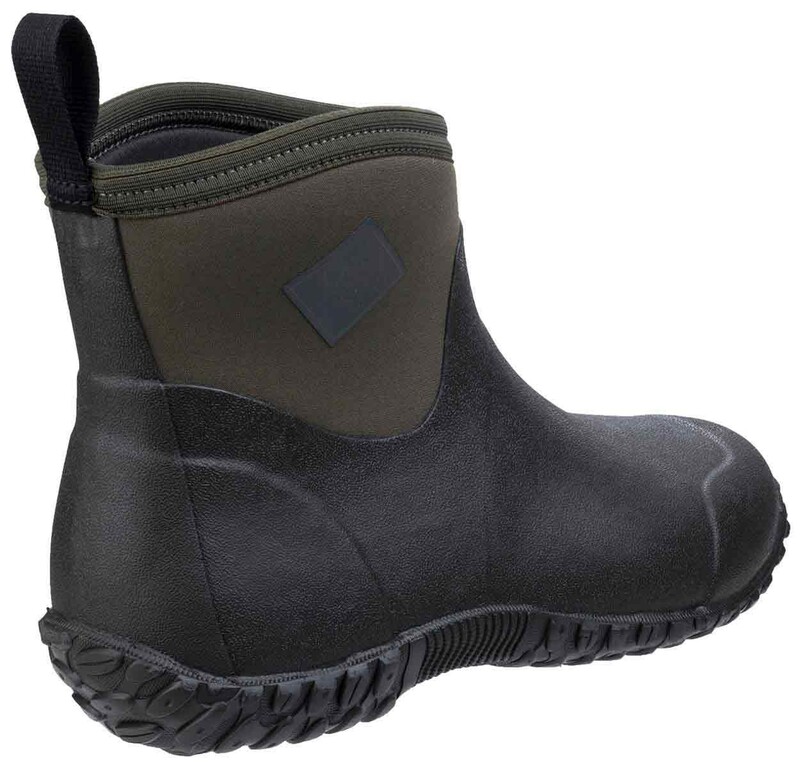 The Muck Boots Men's Muckster II Ankle All-Purpose Lightweight shoe Moss/Green features: 4mm CR flex-foam, Breathable, Airmesh lining, Comfort Topline, Pull-On Tab, New Technical, High Traction, Rubber Outsole. Temp rating 0C to 18C. Upper: Rubber/Neoprene, lining: Breathable Airmesh, sole: Rubber.